Orange felt hat. It was designed and hand made by the artist. 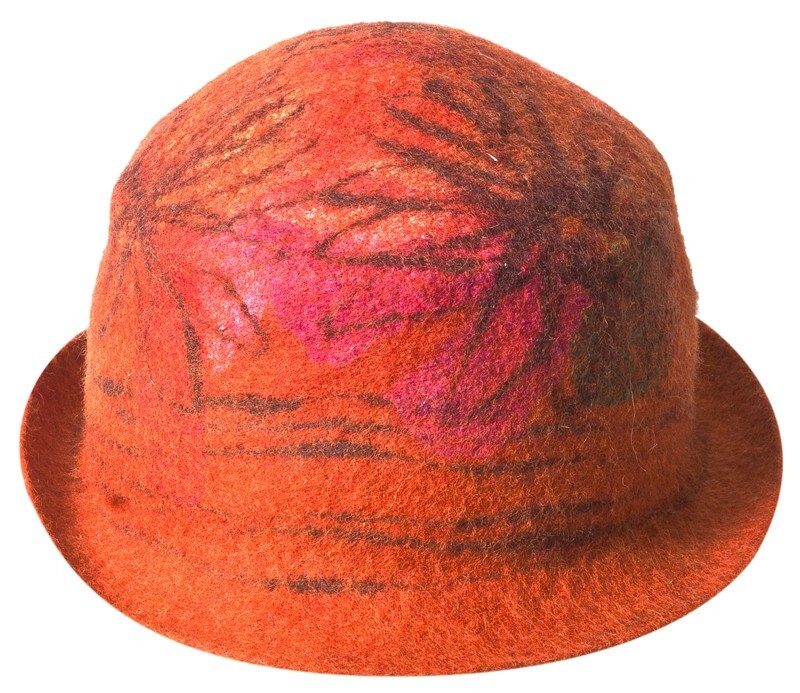 The modern felt hat was designed as one item with its pink and brown details. 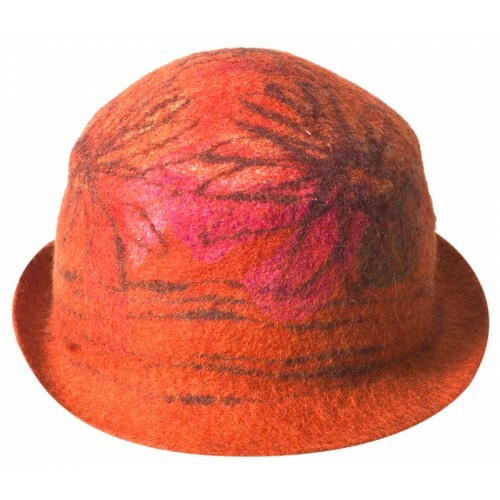 Artists felt hats are made with hand dyed wool and sometimes fabrics. Using a flat resist they are able to produce numerous contemporary shapes. 2layers of wool and fabric layout the base design which is then decomposed and then recomposed in th eblocking of the hat. 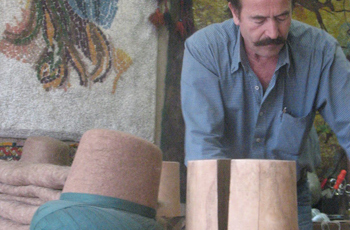 Turkish feltmaster Mehmet Girgiç was born in Konya in 1953. He began making felt with his grandfather in 1966, which was his father and uncle’s profession. In 1987 Mehmet Girgiç had renovated all the sikkes (the felt hat for the whirling dervish) in the collection of Mevlana Museum. He has invited many foreign groups to his felt workshop and taught how to make felt. The first group came in 1996. He has had numerous workshops and participated in many exhibitions in Turkey and abroad. In 2010, Girgiç was awarded as one of the seven Turkish Living Treasures by UNESCO and the Turkish Ministry of Culture and Tourism. Mehmet Girgiç and American textile artist Theresa May-O’Brien are continuing to produce handcrafted feltwork at their Ikonium Studio in Istanbul, Turkey.